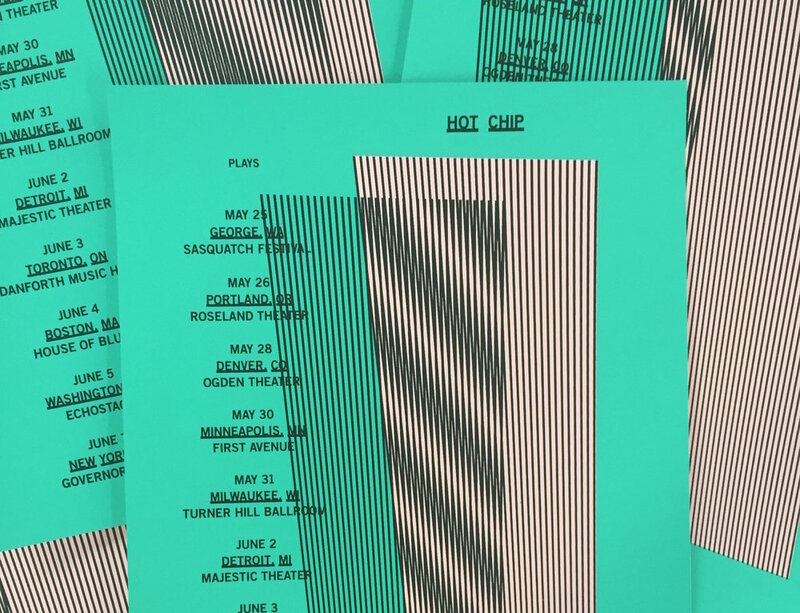 We had the pleasure of working with Hot Chip for the tour posters to accompany their album 'Why Make Sense?'. With artwork designed by Nick Relph, each poster was one of a kind, mirroring the album artwork: the second set of stripes were overprinted in a different position on each poster, meaning each print is unique. We printed a total of 3 posters using 4 different colourways.